England beat Tunisia 2-1 in the teams’ first FIFA World Cup match at the 45,000-seater Volgograd Arena. 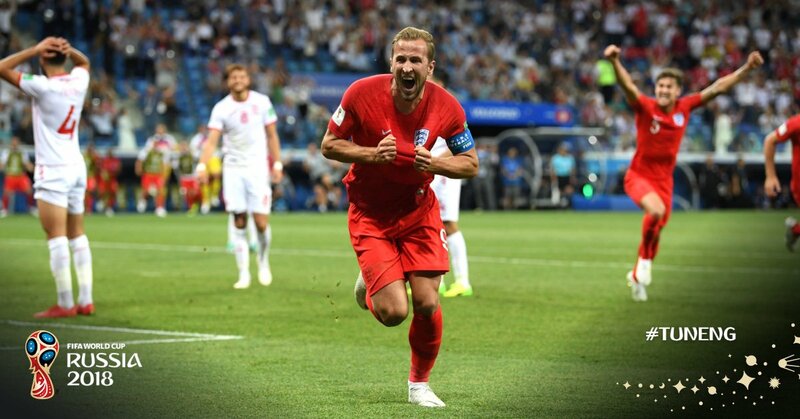 Tottenham and England star striker Harry Kane, England’s youngest ever captain at a World Cup, scored the opener in the 11th minute. Tunisia midfielder Ferjani Sassi equalized in the 35th minute from the penalty spot. However, Kane scored the late winner in stoppage time to secure England’s victory. Tunisia will next take on Belgium in the Russian capital on Saturday, while England will face Panama in Nizhny Novgorod on Sunday.